A couple of times recently, my daughter, when her younger brother has interrupted her, has rudely spat out the sentence (interrupting him right back) “I was in the middle of a sentence.” Her tone when she’s done it has been horrible — hateful and curt and unforgiving. She learned it from me. For a while, my kids both had a habit of interrupting me, and it began to annoy me something ferocious. So I got in the habit of interrupting them back and saying this sentence in what I now realize, hearing it reflected in my daughter’s voice, was a really awful tone. The first couple of times I heard this echo of myself in her, I didn’t say anything about it, but last night I did. What I said was “I’m sorry.” Although I think I’m mostly a reasonably good parent, I’ve certainly done some things, or said some things, I’ve regretted. This has been one of my more shameful things in recent years. I started using this phrase at a time when I had begun introducing sarcasm as a way of providing feedback, and my introduction of sarcasm for this purpose is another of the parenting failures of which I’m really ashamed. 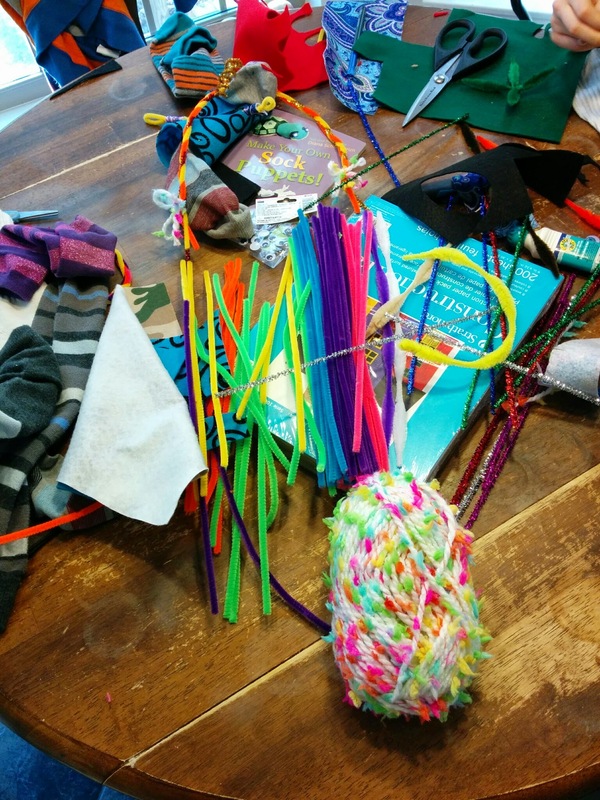 I suppose I started this at a time during which I was frustrated and was sort of venting, and it was a really unhealthy way to parent my children and a crummy way to treat a human being in general. This year I made an effort to scrub sarcasm from my repertoire when giving the kids feedback about their behavior (sarcasm in general is still in bounds if offered humorously and with something like a wink), and I think I’m pretty well broken of the habit. So, I apologized to my daughter last night for treating her (and my son) so rudely. I told her it was no way to treat a human being and that, as with the sarcasm, I was going to work on scrubbing this awful sentence from my repertoire. I said I hoped she’d join me. There are certainly worse behaviors I could have modeled, and this at least is one that we can both learn from and use to improve how we treat other people, but I still feel like a pretty big dud over it. When my daughter was very young, she liked to grab my ears. I wasn’t able easily to locate the photo, but there’s a nice picture of the two of us from years back in which we’re walking around at the zoo. Well, I’m walking, and she’s on my shoulders, holding on by my ears. At about that time, she developed the occasional habit of rubbing my earlobes, which I suppose are soft. I am a man who has little trouble growing hair, and my eyebrows can grow to be quite impressive if I don’t keep them in check. A few years ago, my wife let it be known that she preferred when I kept them a bit shorter, so I started getting them trimmed when I got a haircut. I sort of like when they grow a bit longer because it’s silly, but my wife is the one who most often has to look at my face, so I’ve happily deferred to her preference. My daughter’s fondness for my ears has in recent years been joined by a fondness for my big spidery eyebrows. It started when she began getting allergy shots. For kids new to allergy shots, parents are encouraged to sort of kneel down in front of the kid for some reason, and the kid is encouraged to exhale while the injection is occurring. This arrangement gave my daughter a recurring opportunity to take note of my eyebrows, which I’ll confess I may have waggled at her a few times for comic effect to try to help take her mind off the odious shots. After a time or two of this, she began pinching my eyebrows a bit, and a new weird habit was born. My wife and daughter have now expressed opposite preferences with respect to my eyebrows, which puts me in a bit of a tough spot. When I go for a haircut, whose preference do I honor? That of my wife who has to look at me or that of my poor daughter who I force to get bi-weekly injections and whose chief solace is this weird eyebrow ritual? A few months ago, I made a deal with them. If the person cutting my hair mentions my eyebrows and asks if I want them trimmed, I say yes. If the he or she does not mention my eyebrows, I don’t mention them either, and they continue to grow. It’s been a couple of months since my last haircut, and my eyebrows are becoming very impressive (they’d be more so if they weren’t so light), the longest hairs an inch-and-a-half or so by my quick informal measurement. Just the other day, my daughter conceded that they had probably grown very nearly enough and added that once she could stretch them down to touch the tip of my nose, it’d probably be time to give them a bit of a trim. 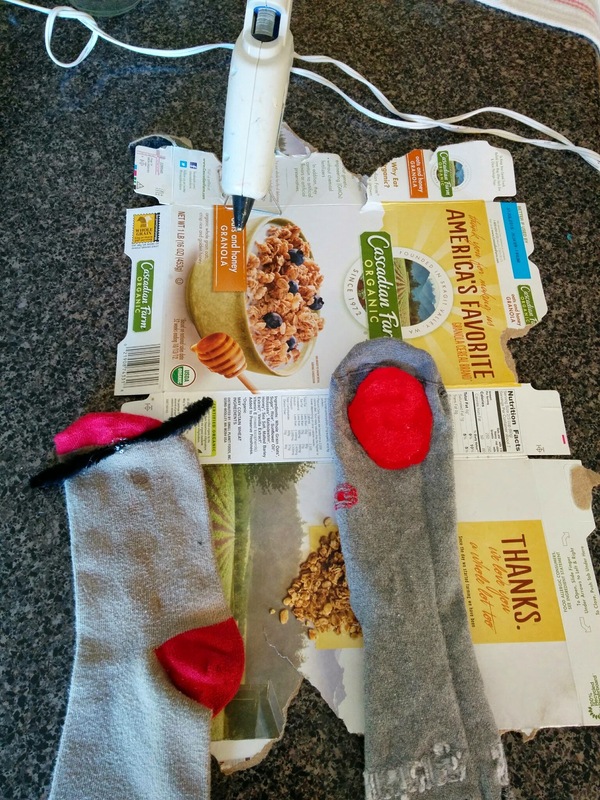 A few weeks ago, I proposed that we make sock puppets as a fun activity for the kids. My wife was out of town this weekend and I was antsy to get the craft going, so we went ahead without her. 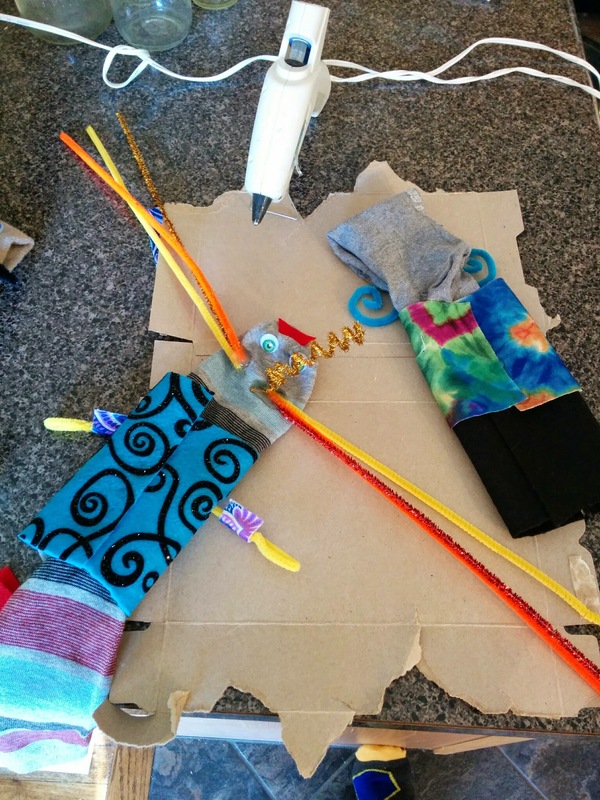 After a trip to the craft store, we laid out our supplies, and the kids started designing their puppets. Although I had intended to make one of my own, we found that our various room-temperature glues weren’t really doing the trick, so I operated the hot glue gun (a first for me) and stuck the various limbs and accessories on. 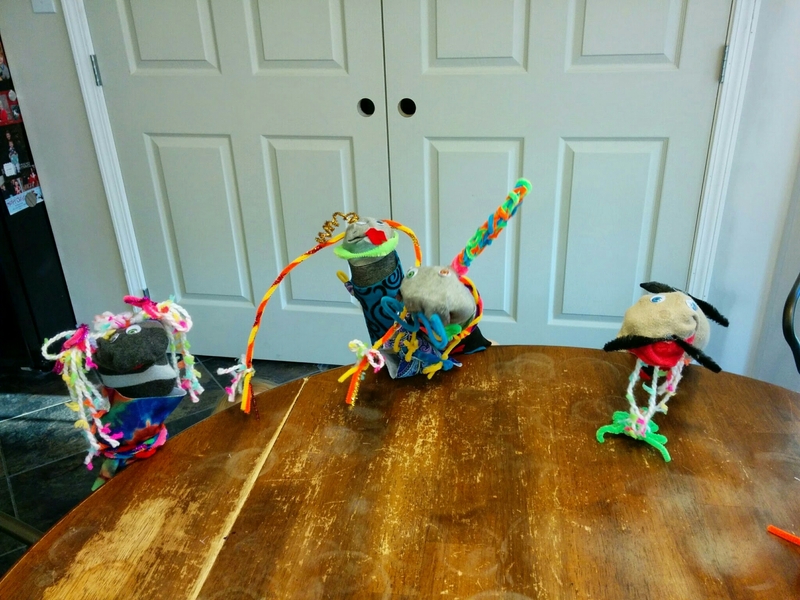 The kids were really happy with their puppets and went straightaway after finishing them to go write and perform for me a brief puppet show that made absolutely no sense. 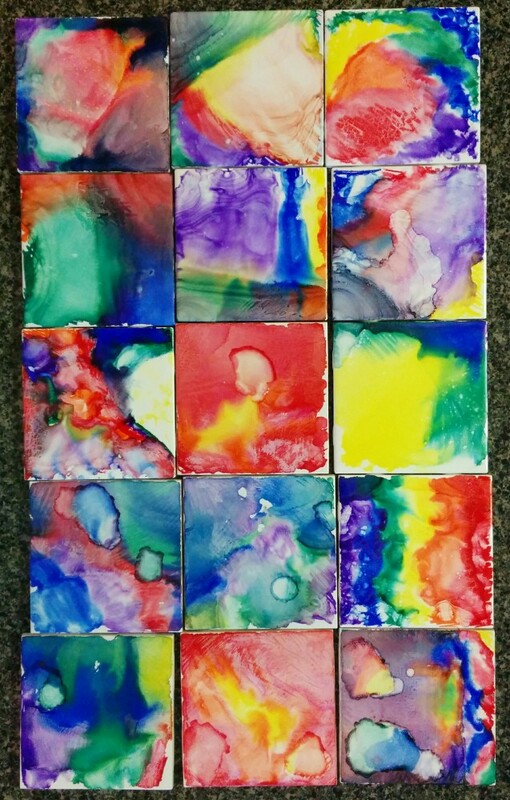 It was a fun afternoon. Pinterest, here I come. 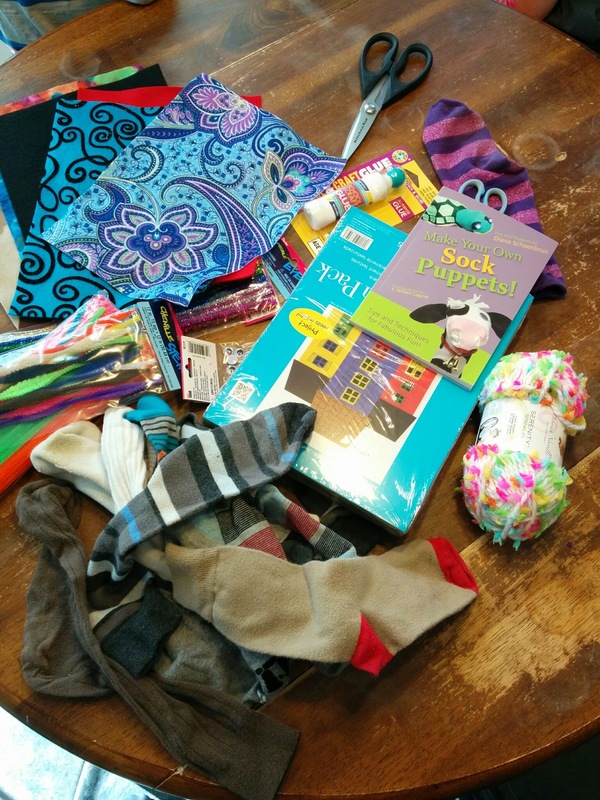 We picked up a bunch of craft supplies and raided my sock drawer. 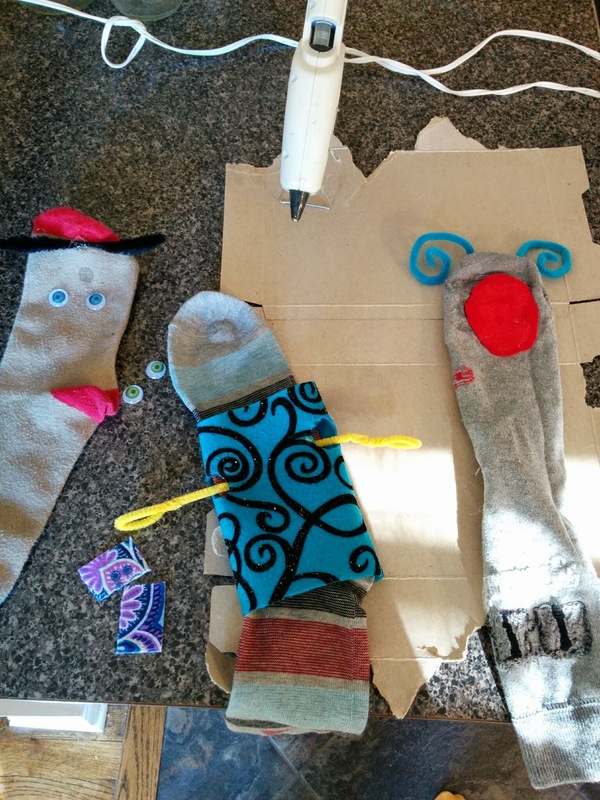 The first two sock puppets under initial construction. So far we have a mouth and a mustache. The center puppet wears a lovely dress, and the gentleman on the right has sprouted a mustache. Pipe cleaners make great hair for braiding. 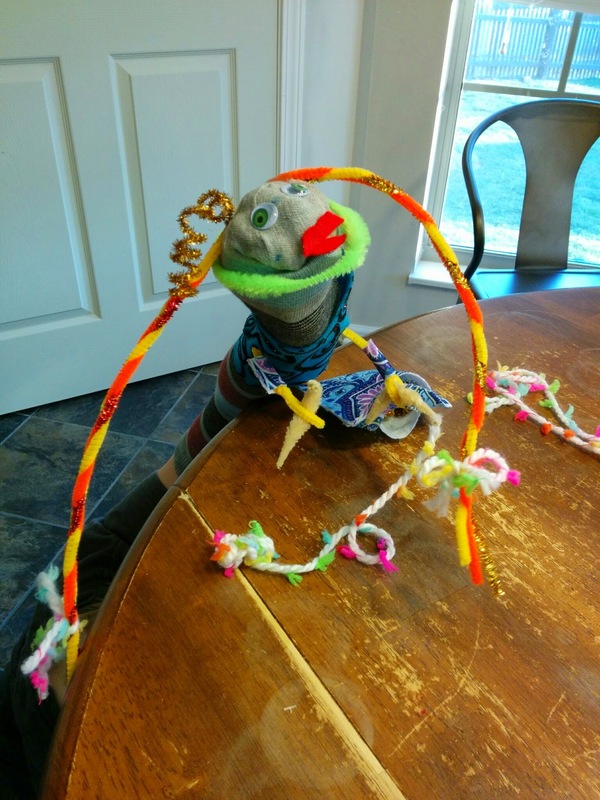 F’s puppet now dons a tie-dye shirt. We wound up with four puppets, a bit of a motley crew. This is Catalina. She’s knitting!